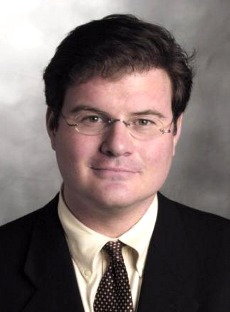 Jonah Goldberg recently made the observation that for many liberals, the best conservative role models are dead conservatives. As Goldberg noticed that many liberal ideal conservatives, “always exited yesterday.” Jeb Bush's recent statement on “Reagan not being able to get elected in today’s GOP” was not, as Goldberg notice, not one of Bush’s better moment. Goldberg wrote, “Former Florida Governor Jeb Bush reignited the topic by lamenting how Reagan couldn’t be nominated today because the GOP has become too rigid and ideological for even the Gipper. I think Jeb Bush is one of the best conservative politicians in the country, but this was not his best moment. Assuming Mitt Romney gets the nomination, here are the GOP nominees since Reagan left office: Bush I, Dole (Gerald Ford’s running-mate in 1976), Bush II, McCain, and, finally, Romney — the Massachusetts moderate the Tea Party spent much of the last months lambasting as, well, a Massachusetts moderate…Look at all those crazy right-wingers!” If anything, Reagan could not be elected because he is too conservative not because he is too moderate. Steven Hayward makes a more interesting case that neither Franklin Roosevelt, or for that matter, John F. Kennedy would get nominated today by the Democrats. Kennedy enacted a supply side tax cut that became the basis of the Reagan tax cuts two decades later and were in many cases based on the Harding-Coolidge tax cuts of the 1920’s. John Kennedy's youngest brother, Ted Kennedy, even rejected his older brother’s policy not just economically but in foreign affairs as well. Franklin Roosevelt's opinion on public sector unions and welfare has been rejected by the modern day Democrats. Hayward observed, "As he told Congress in 1935, 'The lessons of history, confirmed by the evidence immediately before me, show conclusively that continued dependence upon relief induces a spiritual and moral disintegration fundamentally destructive to the national fiber. To dole out relief in this way is to administer a narcotic, a subtle destroyer of the human spirit… It is in violation of the traditions of America." Liberals were not happy when Republicans quoted these words back to them in the debates on welfare reform in the 1980s and 1990s." Nor would they be happy about having Roosevelt's words on public sector union thrown in their face. As Roosevelt noted, “All Government employees should realize that the process of collective bargaining, as usually understood, cannot be transplanted into the public service. . . Particularly, I want to emphasize my conviction that militant tactics have no place in the functions of any organization of Government employees.” Can you imagine any Democrats today saying the following, “Democracy and Christianity, two phases of the same civilization…We cannot read the history of our rise and development as a nation, without reckoning with the place the Bible has occupied in shaping the advances of the Republic.” I can’t. Roosevelt is to the right of Wisconsin governor Scott Walker! The real problem is not that Republicans are captured by right wing extremism, but that the Democratic left has been captured by the extreme left, public sector unions, extreme environmentalists, and left wing donors like George Soros plus the Occupy movement. So could John Kennedy and Franklin Roosevelt be nominated by the Democratic Party? Let's put it this way; Reagan would be more likely to be the Republican nominee than either Kennedy or Roosevelt the Democratic nominee.